Look what the chicks gave me for my birthday!! 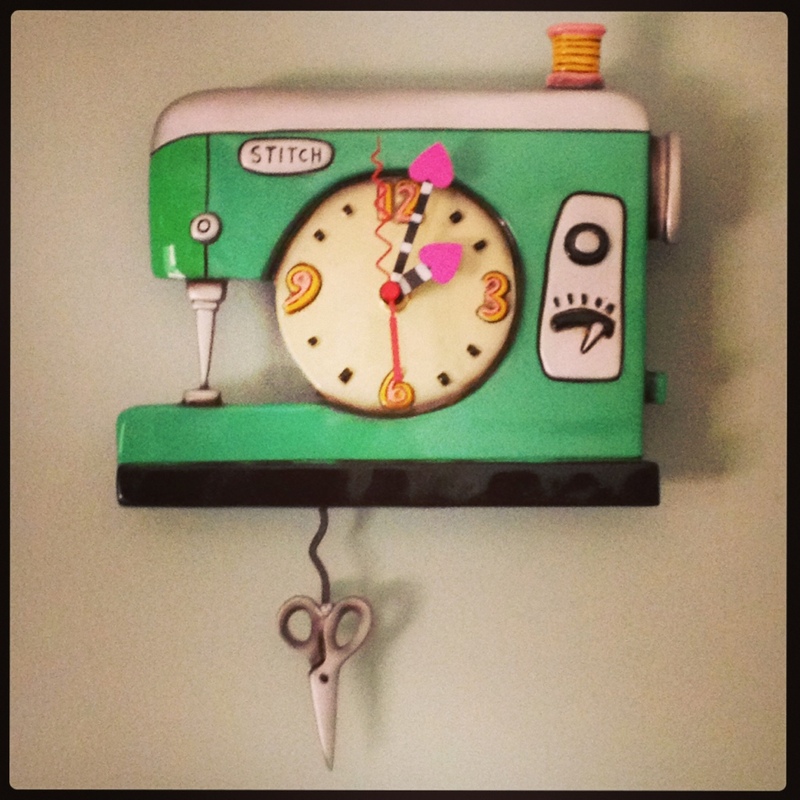 A sewing machine clock complete with scissor pendulum and love hearts for the hands! Talk about feeling spoilt – and loved!! That is so cute and unique! I love it!! I know! I was so impressed with their choice! That is so cool. You definitely are lucky 🙂 A great gift. That is what I thought Michelle! They were so excited to present it – wanted me to open it on the front porch while they were still unpacking the car – and I can see why! And thank you for the birthday wishes too! How lovely, they could not have done better. Well happy birthday to you too! Librans are creative souls but astrological nature apparently, so I am sure there is no coincidence! I know! I feel very lucky! I don’t sew because I don’t know how and I don’t have the patience to learn because of this lovely ADHD I’ve been blessed with, along with several other things. But, I do have to say I still love reading your posts and that is the cutest clock ever! I have never seen anything like it. Thank you – that is a lovely compliment to start my day with! I find that sewing is my therapy to deal with the chaos in my household – and if you had told me that a few years ago I would have scoffed! The fact that my kids recognised this and bought me the clock just fills me with joy.